The Auckland Jewish community welcomes South African families. 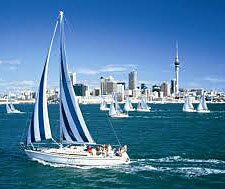 If you are considering moving from South Africa, then consider Auckland in the South Pacific. Auckland came 3rd in the global survey by Mercer Quality of Living Worldwide Survey in 2018 as a city to live. Auckland has everything you could want. 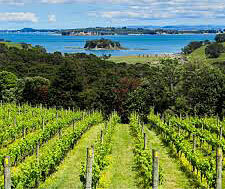 Located on the Gulf of Hauraki, with a subtropical climate, Auckland offers a superb lifestyle, in a safe and ideal place for the family. It is a city that is proud of their Jewish citizens and since 1860, Jews have contributed to Auckland development with 7 mayors and leaders in many fields. English is our official language. We drive on the same side of the road. Many South Africans have already made Auckland their home (30,600 in the 2013 census). Auckland's temperatures are very similar to Johannesburg. Rugby is our national sport. If required, we can put you in contact with an Auckland immigration consultant who's from South Africa and is Jewish. To learn more about Jewish life in New Zealand and a broad view of the country, click on the links below.